Why build an animatronic hand project? Animatronics is the technology where machines/robots imitate human and animal activities like walking, moving arms, facial expressions etc. You can build machines and control them by moving your hands, fingers and facial muscles. In this course, you will build an animatronic hand that copies the motion of your own hand. Have fun building your very own animatronic hand! 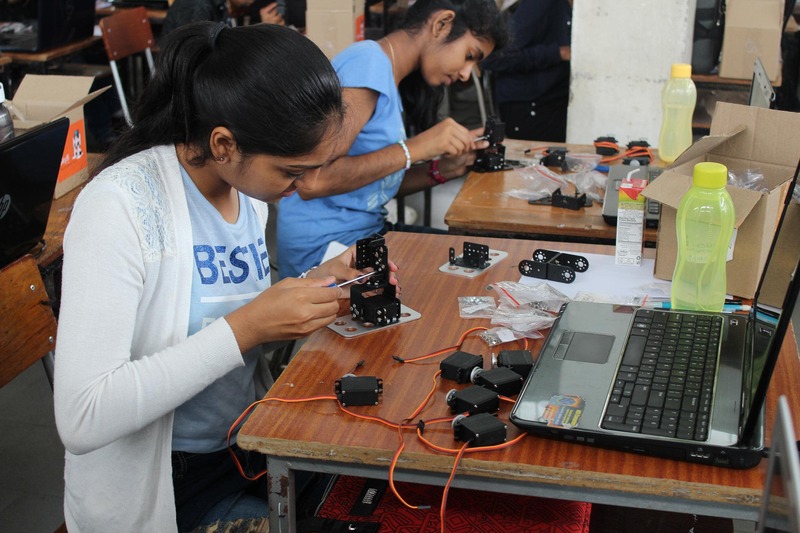 In this course, you will learn to design, fabricate and control an animatronic hand using embedded systems. 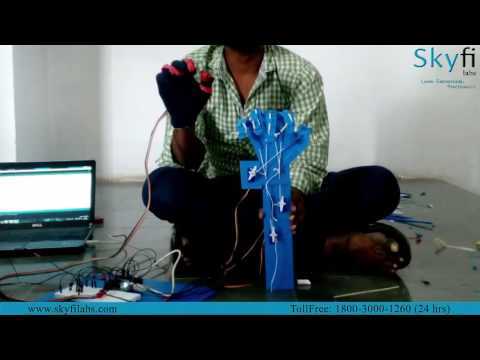 The animatronic hand that you build can be controlled with your hand movements with the help of flex sensors. Module 1: What is Animatronics? How can you build this animatronic hand project? How to build a animatronic hand project? Login to our online learning portal will be provided instantly upon enrollment. The portal will have video lectures, tutorials, and quizzes required to build the animatronic hand project. Kits are well tested and shipped to your doorstep in 24 Hours. Use the kit along with the online portal to complete the project at your home itself. How much time do I have to complete the animatronic hand project? What will be in the animatronic hand project kit that I will receive? If you have written even 5 lines of code in C in your life, you are eligible. The course covers content from very basics. So you can enroll without much prior knowledge in mechatronics. What is needed is a strong desire and passion to build projects!